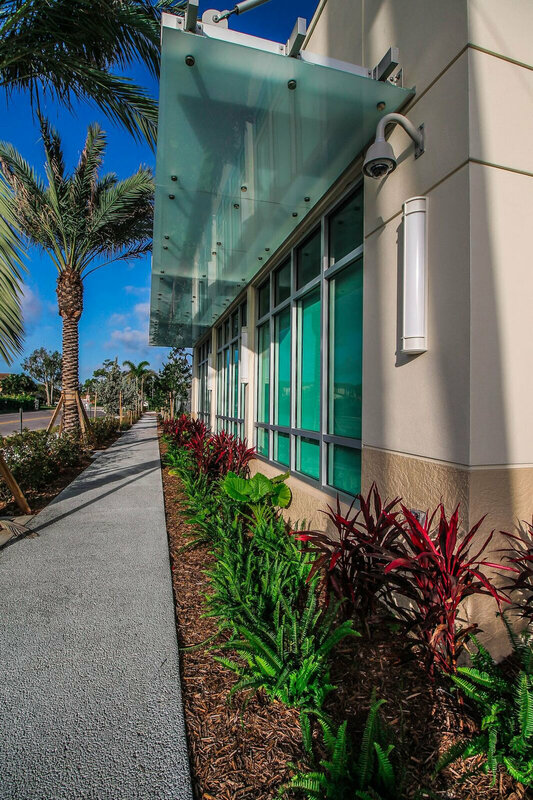 Palm Beach County Tax Collector's Office — Song + Associates, Inc. 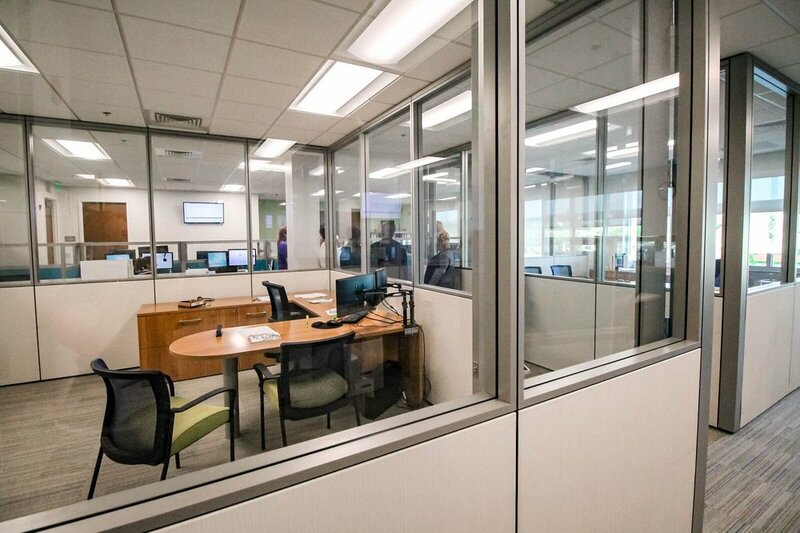 The Customer Service Center provides access to services to the residents from its central location within the county. This crucial facility sees a high-volume of public visitors daily and is expected to serve over 200,000 residents annually. The site posed a challenge to the design team to work under the requirements of a new Urban In-fill zoning district overlay. The existing, adjacent context is primarily composed of shopping centers and smaller, object buildings set back beyond parking lots from the busy main thoroughfare of Military Trail. The County identified this area for redevelopment toward a more urban streetscape pattern and applied the new zoning requirements. The Urban In-fill overlay encourages new buildings to line the street with a high percentage of the façade fronting the public roadway. Significant façade articulation is required including variations in parapet height and a large amount of glass for transparency. These requirements, as well as the challenge of a long narrow site, inspired the design team to create a dynamic main façade. At the center of the building, a concave curved wall recesses from the street adding depth and dimension to the pedestrian zone while presenting an iconic view for passing vehicles. The curved wall creates a two-story, light-filled interior space for the primary customer service functions. Patterned terrazzo flooring echoes the shape of the space while providing durability and ease of maintenance. Interior panels, required for photo back drops, were printed on the lobby-facing side with artwork created by the disabled through a local, community organization, fulfilling a part of the public art requirements. The breakroom, with bright, citrus colors and large windows for natural light, as well as an outdoor terrace, provide a place of respite for the center’s staff from the hectic pace and, often stressful environment.